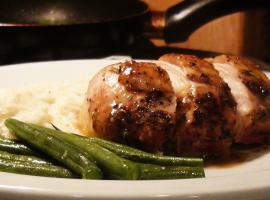 Are you cooking chicken breasts or thighs? Are they bone in or bone out? What's the benefit of brining chicken? What's the best way to cook chicken legs? Grilling? Baking? Pan Searing? Chicken is insanely common. It's likely the most common protein on the American table, with many families eating chicken several times a week. 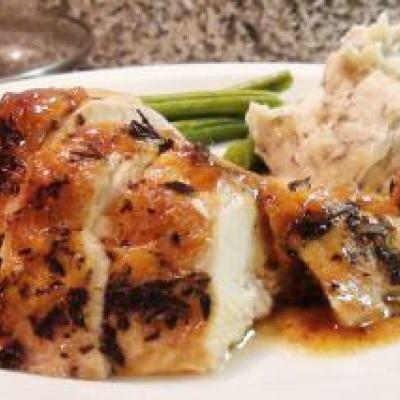 And there is no shortage of fantastic chicken recipes...you'll find several right here. But more important than any chicken recipe, is knowing How to Cook Chicken! You can read a recipe for roast chicken...but dose that tell you how to brine? or why? You can read a recipe for chicken piccata, but does it really explain how to pound out the chicken breast and sear it off, so the chicken is not over or under cooked. Here you'll find the the tips and tricks that will show you how best to cook different cuts of chicken using different cooking methods. Because once you know the fundamentals of say, roasting a bone-in chicken breast, you can add literally hundreds of spices, flavors and marinades, and cook it perfectly every time. Browse around, read, watch the videos, and most importantly practice cooking...and you'll quickly learn the best ways to cook chicken.